A Navan RC Blast from the past……! Navan Road Clubs first Ras win. 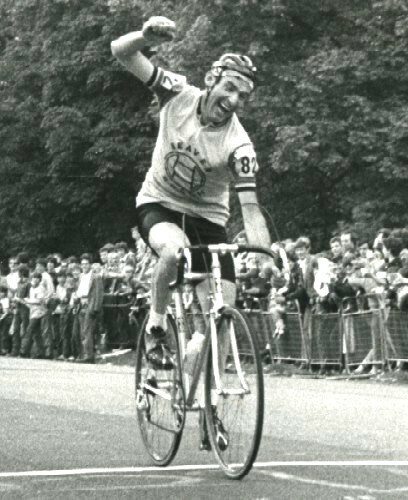 In 1969 Navan Rc celebrated its first Ras winner in Brian Connaughton. It was his fourth attempt at the race, and his only victory, but all who raced against him were in no doubt of his class and strength in ’69. Connaughton won in style with nearly 5 minuites to spare over his nearest competitor. He had prepared well for the race and while he was far from the favourite he said himself ” I quietly fancied my chances ”. The Meath team that year was one of the very strongest, which included future winner Seamus Kennedy along with Larry Clarke, Christy Reynolds, Colm Nulty, T.P Reilly and Connaughton. In fact 6 Meath riders finished in the top 12 that year.! The ’69 Ras was the crowning achievement of Connaughtons career. 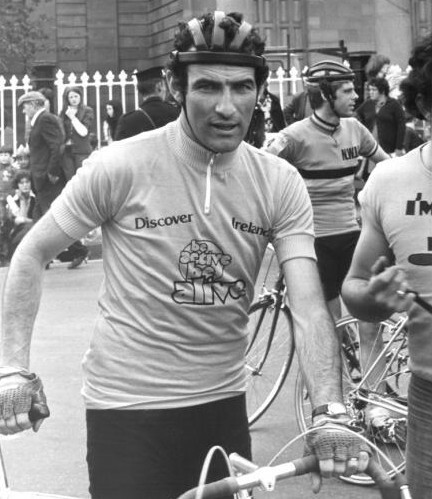 He rode the race 13 times and amazingly his only stage win was his very last stage in 1981 when the race finished in the Phoenix Park. A gentleman on and off the bike he was widely respected and admired within the cycling community. He wasn’t blessed with the fastest sprint, so his wins came from clever attacks and break-aways, which made those victories even sweeter. The other aspect of Brians time in cycling is as a coach and mentor to up-and-coming new riders. Some of his notable successes came from working with future winners like Philip Cassidy and Paul McCormack, and he continues to this day spotting and developing talented young riders. Brian has been involved with many clubs since his racing days with Navan RC, but he has some happy memories of his time with us, and we are proud to be associated with a great champion and more importantly a great man.